Some of the 1.2 million Texas drivers whose licenses have been suspended because they failed to pay expensive traffic ticket surcharges can catch a big break right now from the Department of Public Safety. 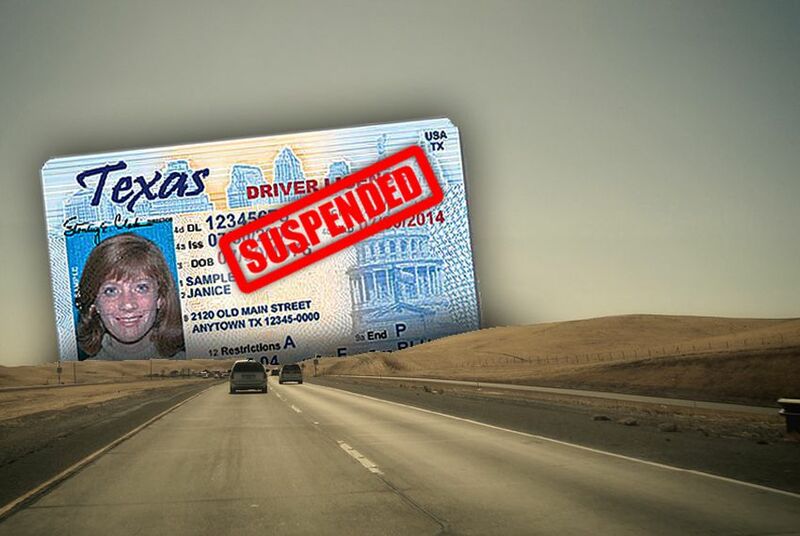 Some of the 1.2 million Texas drivers whose licenses have been suspended because they failed to pay expensive traffic ticket surcharges can catch a big break right now from the Department of Public Safety. From Jan. 17 until April 17, DPS is offering amnesty to drivers who are in default under the Driver Responsibility Program. The program, which charges drivers with certain traffic violations large annual state surcharges in addition to the fines and court costs initially assessed for the ticket, has come under fire from lawmakers in recent years because it failed to collect about 60 percent of the fees that were billed. And thousands of Texans lost their licenses because they couldn't, or wouldn't, pay the surcharges. Lawmakers ordered DPS to implement programs that would help people get right with the law and get back their licenses. "The goal of the amnesty period is to bring drivers into compliance with the surcharge law, and allow them to become licensed and insured drivers," DPS said in a press release today outlining the details of the amnesty plan. You're eligible for amnesty if you had a surcharge assessed between Sept. 30, 2004, and Dec. 31, 2008, and were delinquent on payments. Those who qualify will pay 10 percent of the original amount owed for all surcharges combined — a maximum of $250. You'll still have to pay service fees. And any payments that you already made will be applied to the reduced amount. If you've already payed more than the reduced amount due, you'll be off the hook. To apply for amnesty go to www.txsurchargeonline.com or call 1-877-207-3170. DPS isn't accepting requests by mail, e-mail or fax.